Harvard Ed. Magazine is the alumni magazine of the Harvard Graduate School of Education. It is published three times a year. John Miller’s new book looks at the role love and compassion play in education. Very little has been written about how love impacts teaching and learning, which is why John Miller, M.A.T. '67, recently published Love and Compassion: Exploring Their Role in Education. Love, he writes in his new book, is a powerful, motivating force for many teachers and students. And by love Miller doesn’t mean only romantic love, but self-love, love of beauty, compassion, and a love for learning. Miller, a professor at the University of Toronto, recently talked to Ed. about compassion, seeing students as individuals, and why, at the age of 74, he still loves teaching. Why don’t educators talk more about love or beauty? We live in a materialistic society that prizes consumerism and individual achievement. Education reflects this with its focus on accountability and measurement. Love and beauty cannot be evaluated in the traditional manner, so educators shy away from them. The work of Gandhi and King has had a strong influence on my writing as they saw love as the basis for living and social change. When you look at their lives, they had tremendous impact on the world, which for me is evidence of the power of love. They also wrote about how love and compassion require real strength and courage. Do teachers need to love teaching to be effective? To be effective in the deepest sense, yes. One can teach basic skills without love, but to truly make a difference in a student’s life, there needs to be love. Love sees teaching as an art where we explore different ways of connecting to subject matter and to students. Love brings patience and understanding, which are so important in teaching. Do they need to love kids? Here I would use the word compassion. Compassion allows us to see our students as individuals who are struggling and sometimes suffering. Compassion allows us to see ourselves in the student, even the student who we find is hard to relate to. 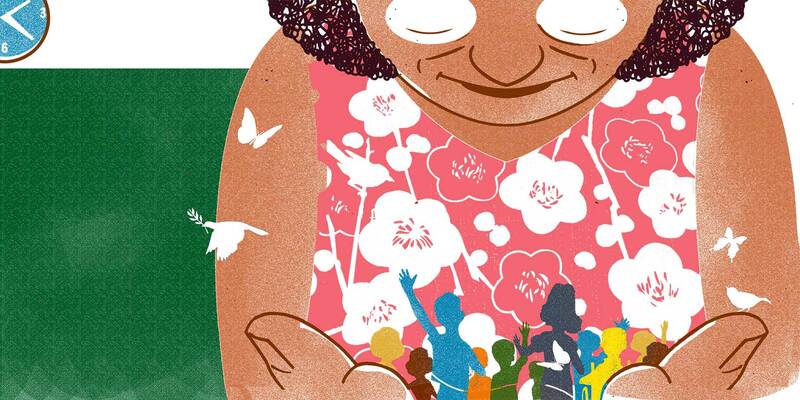 Nel Noddings [Stanford emeritus professor] has written about the importance of care, and if our students feel that we care for them, this can be a strong motivation for learning. When a teacher’s love for their profession is gone, should they move on or try to find a way back? This is very much a decision that depends on the individual and the environment that he or she is working in. One alternative is to seek another school where their love of teaching can be restored rather than leaving the profession entirely. However, this question brings up the larger issue of what changes can be made at a national level to create schools and learning environments that are nourishing for both teachers and students. We need a broader vision of education that goes beyond mastering skills to teaching the whole child and helping children flourish. Why do some kids seem not to love school or learning? Love of learning means keeping the child’s natural curiosity alive. This means allowing space for students to pursue their own interests. Teachers often feel the need to cover the curriculum so sometimes there is little opportunity for students to question and explore. After all your years in the profession, did you ever lose your love for teaching? I have been fortunate that my university and department have supported my work in holistic education and contemplative education, so I do not believe there was a time when I lost my love of teaching. I am now 74, and I still look forward to teaching and being with young people. I love the sense of community that can arise in a class. I write about this in my book, how in one class the students were circulating a sheet of paper for students to comment on what was happening, and one student wrote, “There is a lot of love in this room.” With community, people speak authentically or from what the ancients called the “thinking heart.” When this happens, there is often growth and transformation. I love witnessing this.